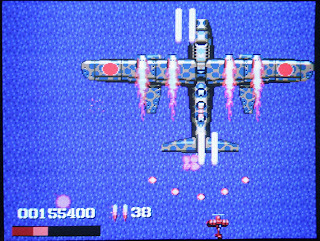 The Turbo Grafx-16 aka PC Engine is definitely in the running for the system with the best shoot'em ups, alongside the Saturn and Genesis. 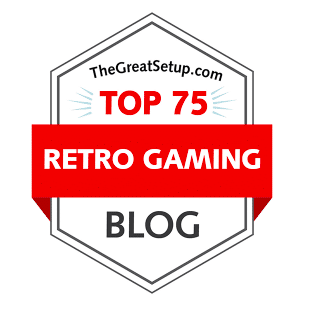 This post is not to spark that argument, but to cherish the games that best represent the genre on this system. 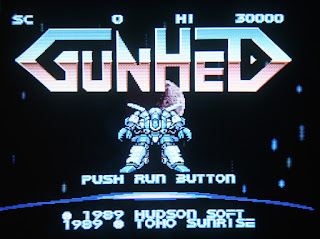 There are A LOT of candidates for a list like this, and so I'm just going to say that my list is not going to match other peoples' and that's ok. Also, since the number of shooters for this system is enormous, and I don't have all of them (does anyone? ), these choices are limited to games that I actually own. 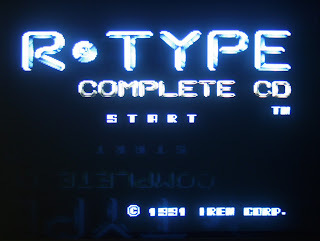 Also, I do not own a Turbo Grafx-16, I have a PC-Engine Duo, so I have a tendency to refer to the system as that. 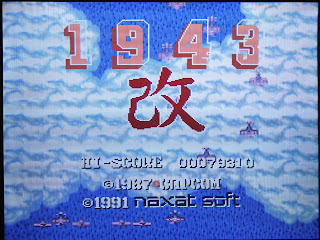 The venerable classic, 1943 Kai is the a fantastic port of the arcade game, boasting more weapons, a more robust soundtrack, and more on-screen action than the NES version. 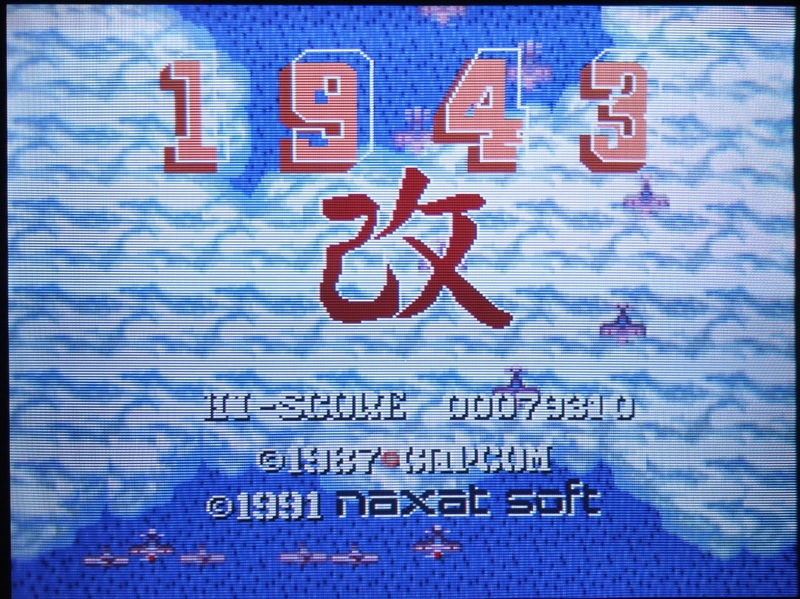 Your plane has a lifebar; no more one-hit deaths. The roll maneuver is still present, but I find it to be an afterthought, as it doesn't damage your enemies. 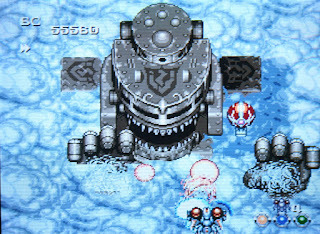 The enemy sprites are more varied than you would think for a 1943 game, and their some of their attack patterns adapt to your position and follow you around! 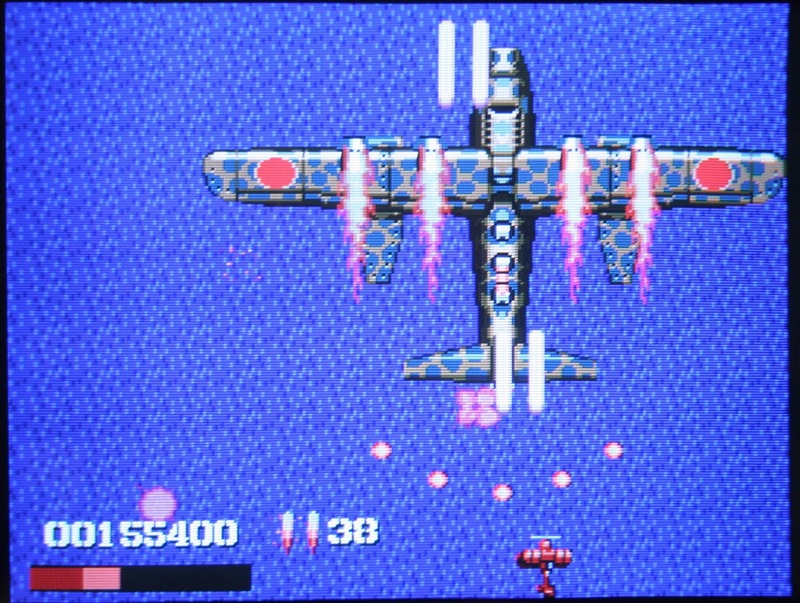 There are multiple power ups to acquire after taking out a string of red planes, and they are on a timer. 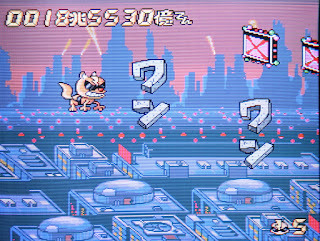 The power up method adds a layer of strategy as you try to avoid enemy bullets, while shooting the power up icons to change it to a weapon that you like before grabbing it. A spoof of their own Star Soldier series, much like Konami did with Parodius and Gradius, Star Parodier is a light hearted shooter. 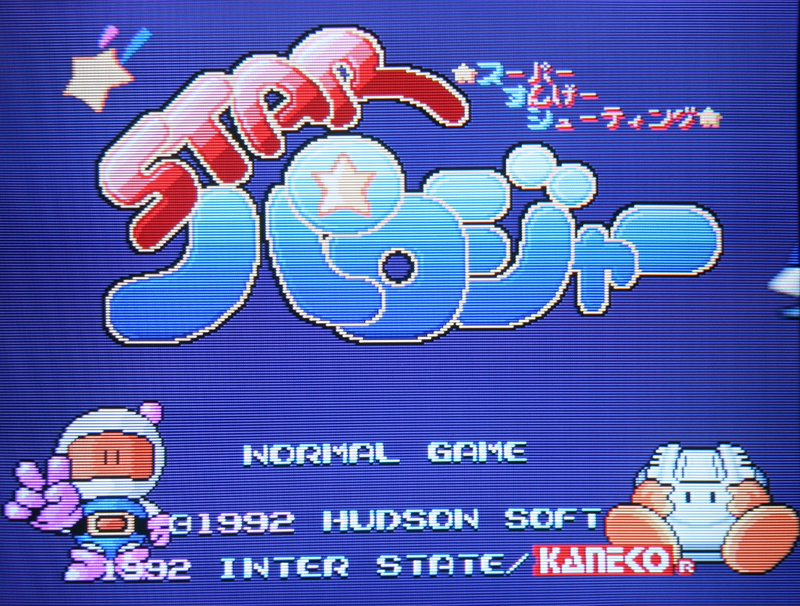 You can choose to pilot a PC Engine, Paro Caesar (ship from Star Soldier games), or Bomberman. 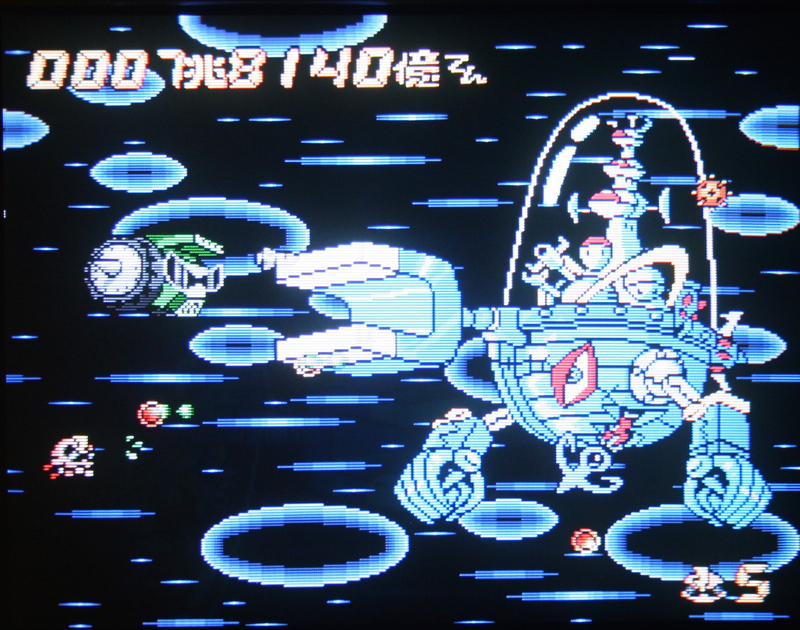 Your shots are tailored to the ship you choose, for example the PC Engine ship shoots Hu-cards and CDs. 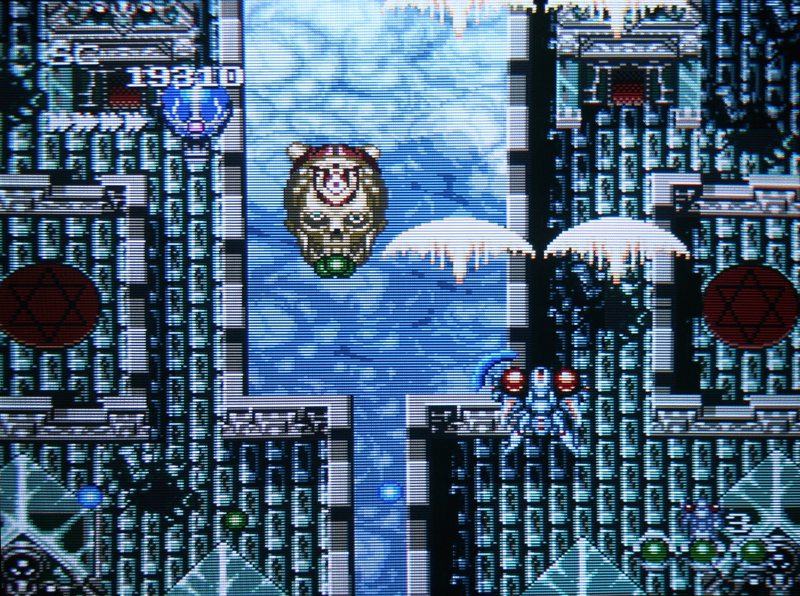 The graphics are bright and colorful, perhaps the most use of color out of any PC Engine game. It has a pretty mellow difficulty, making a nice entry level game to the genre. The soundtrack is pretty great too. An iconic title that has been ported many times, the PC-Engine version is one of the best versions. 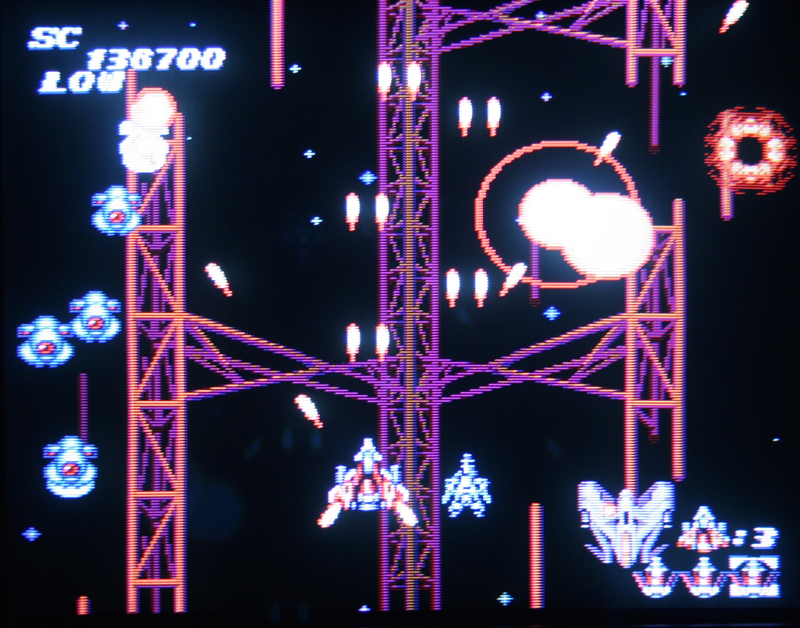 The graphical integrity of the arcade has been fairly well maintained, and the music is just as good. Since this is a spinoff from the Gradius series, the protagonist is still the Vic Viper, but added here is two player co-op, with the second ship named the Lord British. Gone is the power meter for upgrades; instead you pick up what is dropped by red enemies. The picked up weapons can be leveled up if you grab another icon for that same weapon. 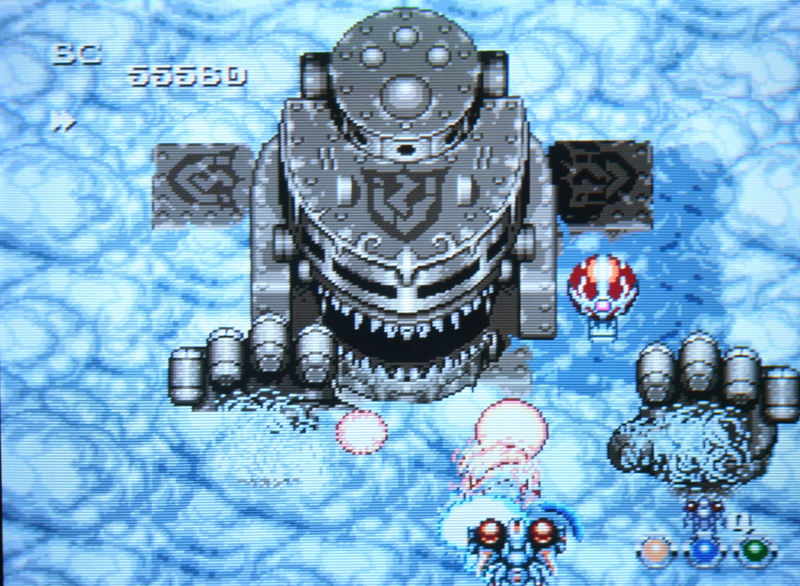 Bosses are large and imaginative. Unfortunately, being related to Gradius, the problem of the game being ridiculously hard if you die persists, as the process of powering up is a long and arduous one. Still, a classic and must have for the system. 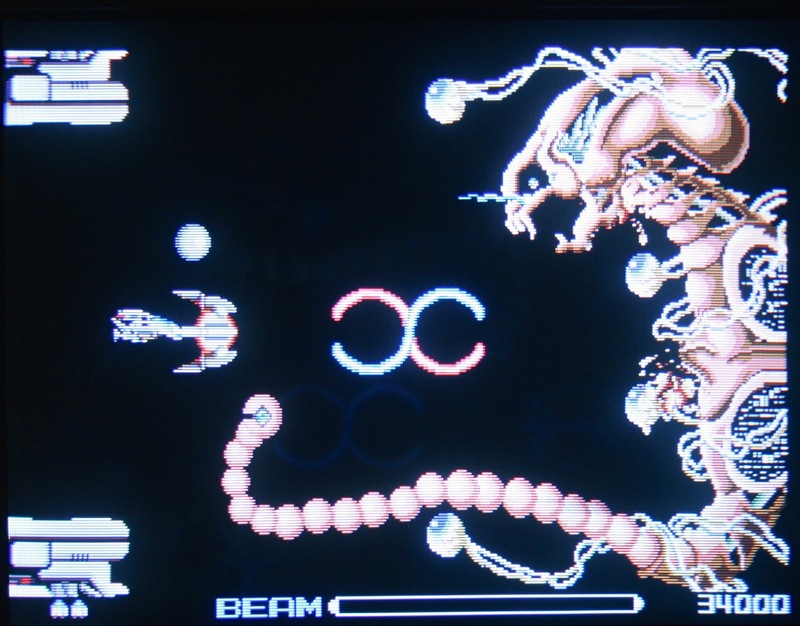 A seminal entry here, R-Type is to many the standard for paced, horizontal shooters. The force ball mechanic is one that has been emulated many times, and is really what makes the game so enjoyable. 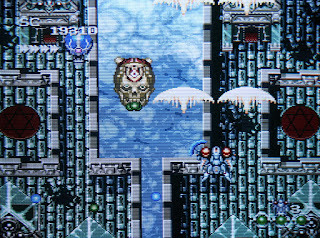 The strategy and execution of placing the force ball on screen can make the difference between annihilating a stage and being annihilated. Add to that the ability to charge shots for a stronger burst, secondary weapon pick ups, and you have a nicely balanced array of offense at your disposal. 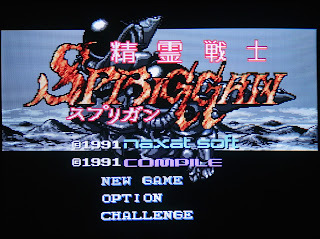 Sprite design is top notch, perhaps some of the best of all time, and the music is serviceable. It is a hard game, you will have to earn your way through the game via repetition, but doing so is enjoyable and rewarding. An early release for the system, this game has outperformed expectations to ridiculous proportions. The action is constant, yet not overwhelming. The sound is futuristic and upbeat. The weapons are basic yet perfectly suited to the gameplay. You can alter your ship speed at any time, and bosses are not too hard, and not too easy. There is a variety of weapons to be picked up, and powered up. 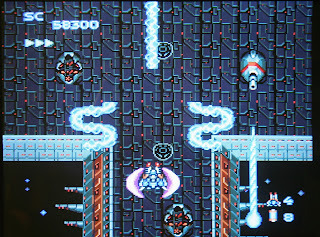 the most impressive of which is the field thunder, which is a electric-plasma like wave that snakes its way across the screen. As it becomes more powerful, the number of strands increases and can nearly fill the entire screen! When powered up, the game may seem a tad on the easy side, but that is fine by me. 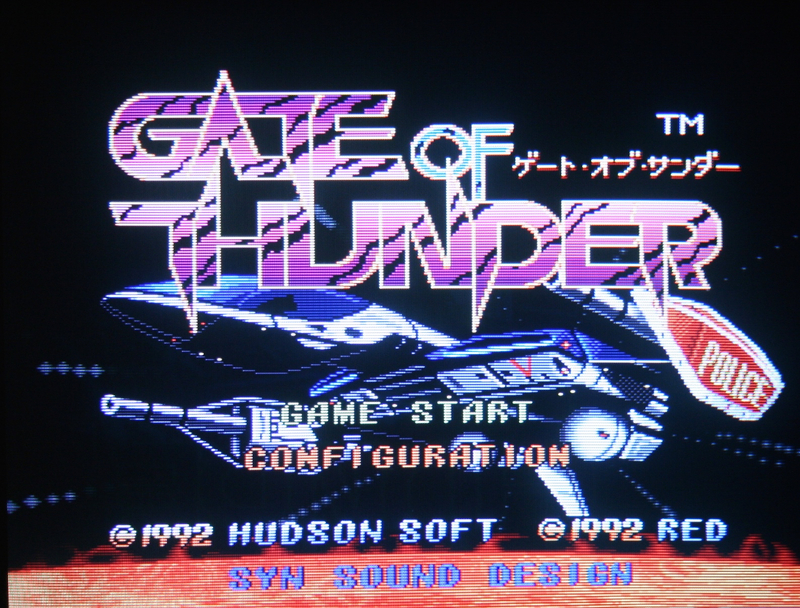 This game is the granddaddy of PC-Engine vertical shooters, since it did everything first and in excellent fashion. The third game in NES's renowned franchise, Soldier blade takes what worked in the series so far and refines it. Like the other games in the family, you can increase the power of your current weapon, and you loose weapon power as you get hit. There are three weapon types to choose from, none of which are very unique. 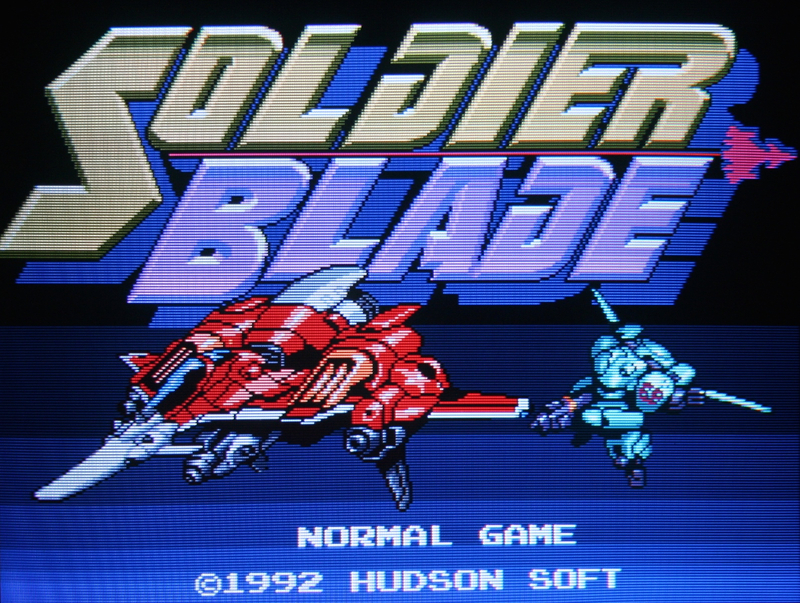 Not the most difficult of shooters, Soldier Blade is a great introduction to newcomers. The stages are pretty long with varied scenery, but are in some cases, monotonous (what is up with all of these space structures?). 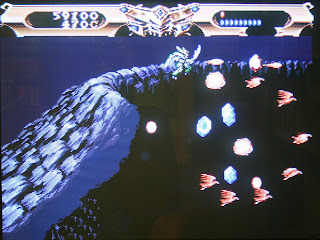 The action is ever-present, and the sprite designs are fantastic, the bosses are huge, and the music rocks. 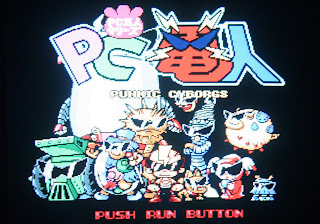 Bonk never had the same appeal to me as the mainstream platformers of the time, so I dismissed the franchise entirely. When it came to shooters, Air Zonk is something altogether different from its related brethren. 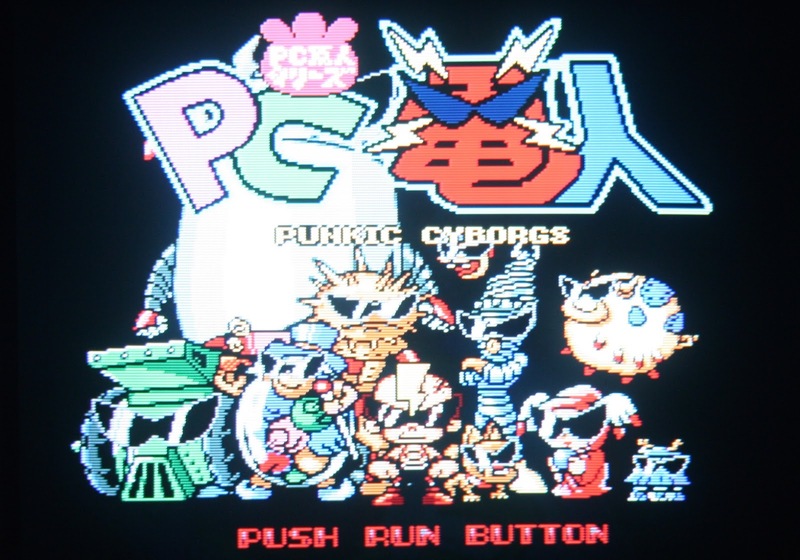 This game is refreshing, as its wackiness is way up there, and that give the game its charm. The weapons are bizarre, but fit the game. The music is peppy, and also matches up well to the action. The bosses at the end of the stages are hilarious, and you wonder if the game designers were just really creative or under the influence when making this game. There is a lot on screen at once, and things move pretty fast (including lots of background depth with parallax scrolling), so you have to be on your toes. 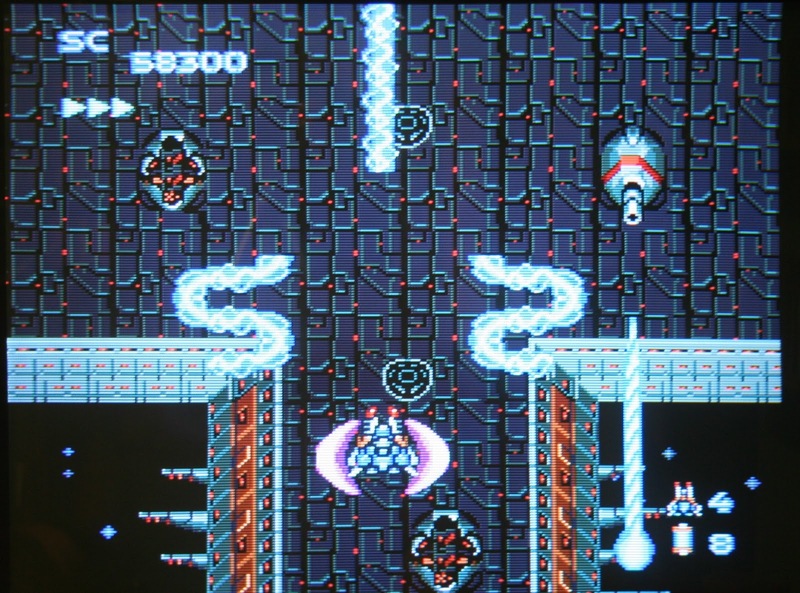 It eases you in for the first few stages, and the difficulty progression is smooth. By the end, its not so easy, but that's to be expected. 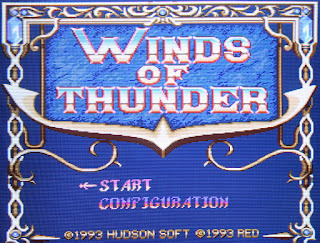 In what is a hybrid of mythological and medieval themes, Winds of Thunder is a roller coaster of a game. 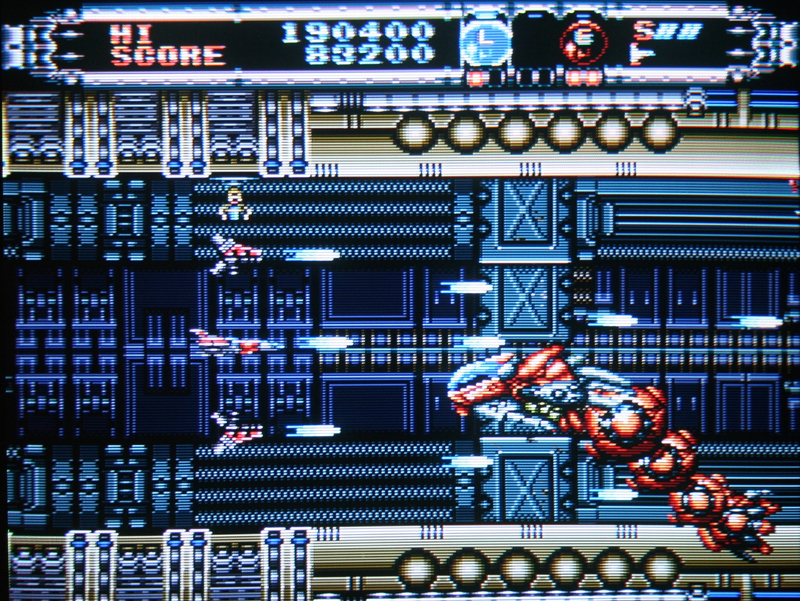 The on-screen action is dense yet crisp. 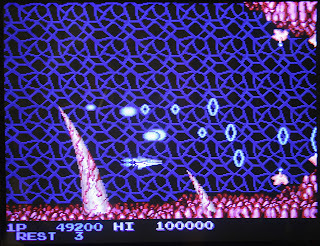 The stage ambiance is maxed out at 11, and the music is rip-roaring, cheesy, heavy metal, that while you would roll your eyes upon listening to on the radio, is almost essential to the experience of this game as it is a perfect match for the gameplay. 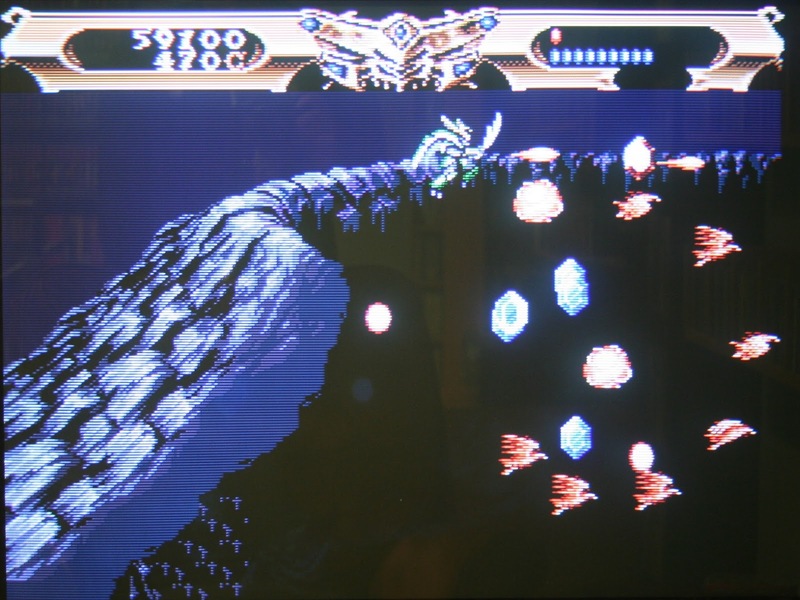 Power ups are purchased inbetween stages using jewels dropped by defeated enemies. 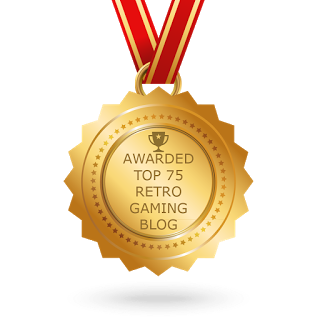 There is a lot to choose from, as each selection offers a different experience and increases replayability. 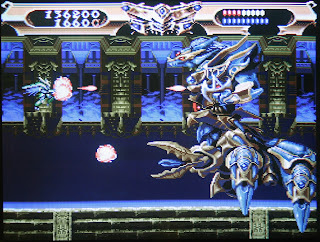 The bosses are large and entertaining, and the game's difficulty is not over the top. An excellent demonstration of what the CD unit can do for the PC-Engine. With a pedigree like this game has, it makes sense why this game is on this list. The Aleste series has several, if not most of its titles on top-ten lists across the web. Let's start with the weapon system. As you pick up different colored orbs, your firepower hybridizes the colors you picked up. You can hold three orbs, so whatever combination of colors you have dictates the characteristics of your firepower. This allows for more weapon configurations that I can describe. At anytime you can purge one of the orbs, which goes off like a bomb, to get you out of a trouble spot. 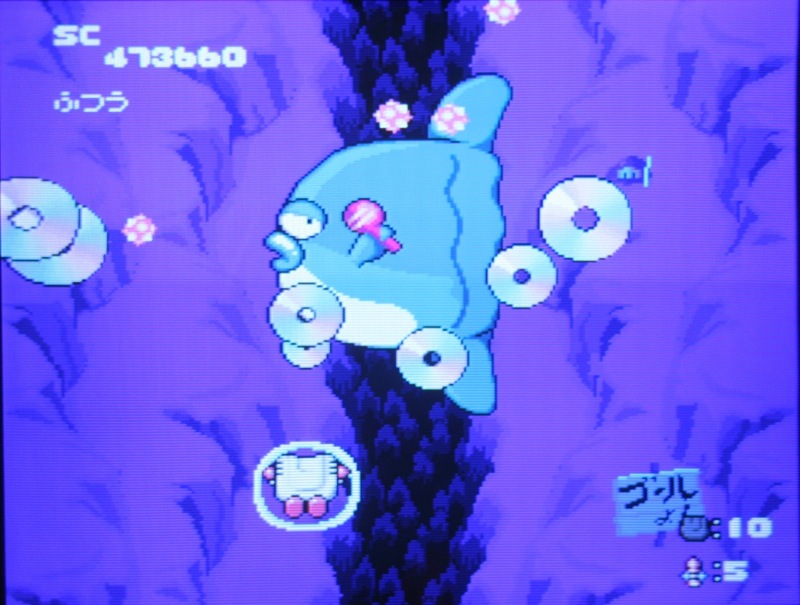 The sprite design is varied and vibrant, as is the music. Bosses are huge, a trademark of the PC-Engine. Gameplay is somewhere in between M.U.S.H.A. 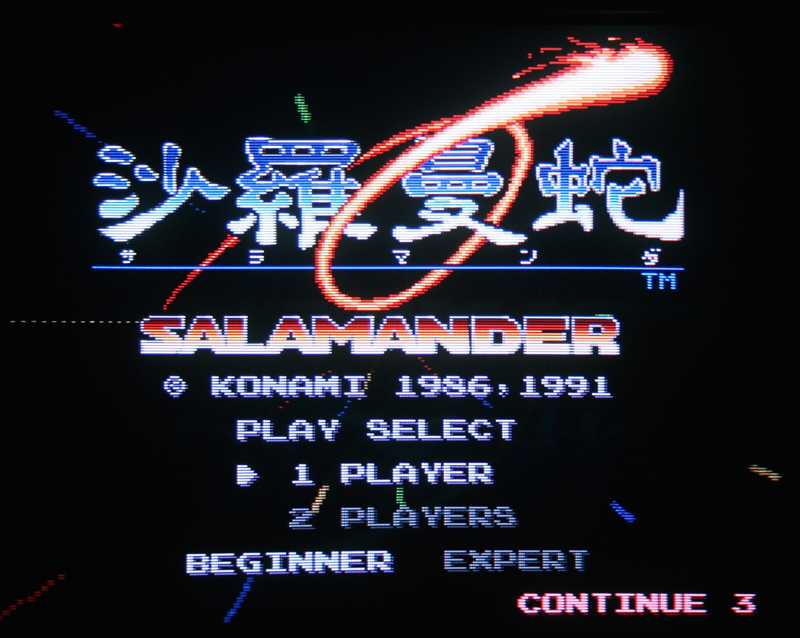 for the Genesis and Space Megaforce for the SNES; its silky smooth and there seems to be no slowdown anywhere. 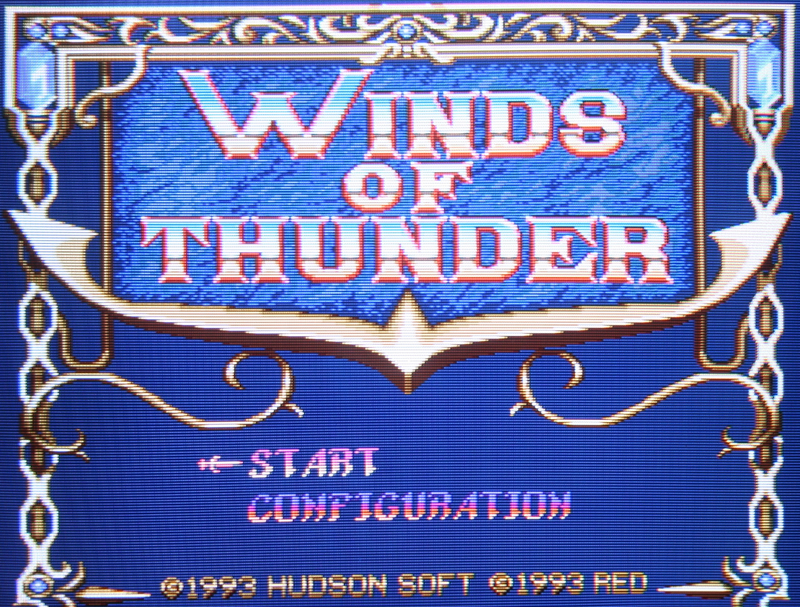 This game was originally packed in with the Super CD Rom unit, along with 3 other games. What an introduction to the new medium for the PC-Engine. It became the standard for all others to follow. 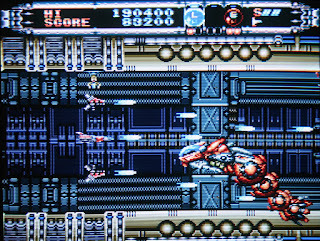 One the first things you'll notice about this game is the ear-splitting, wailing guitar rock that starts up as the game boots; its truly awesome. 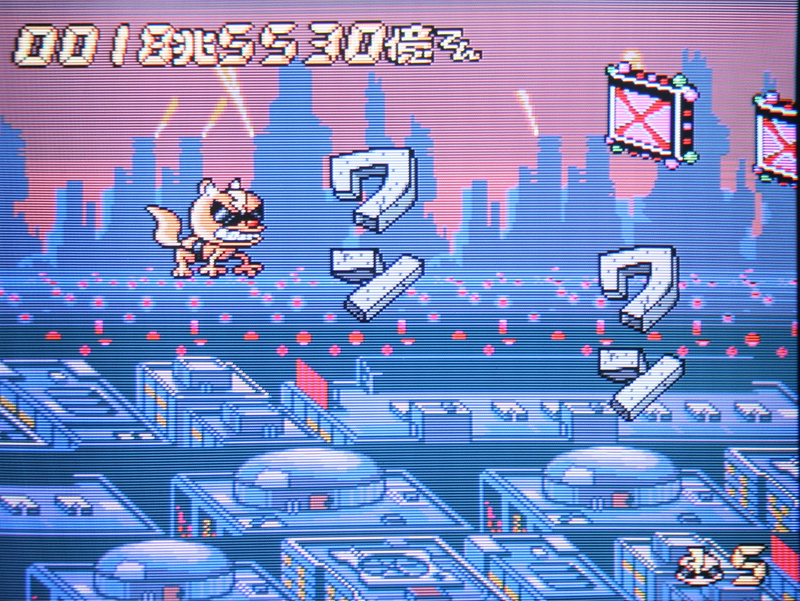 The game is is very colorful, and sprites pop off the screen. the weapon system is innovative and a lot of fun. The on-screen action is constant, and piloting through changing environmental hazards is reminiscent of Thunder Force 3 on the Genesis (good thing). 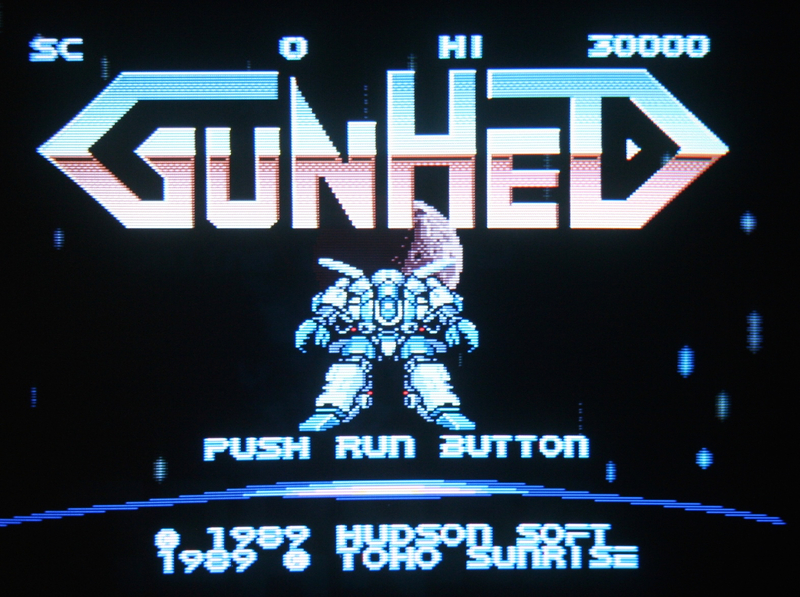 Overall, this is not only the best shooter on the PC-Engine, but possibly the best of its generation.